Drug test for cannabis. CBD or THC? Will you pass? 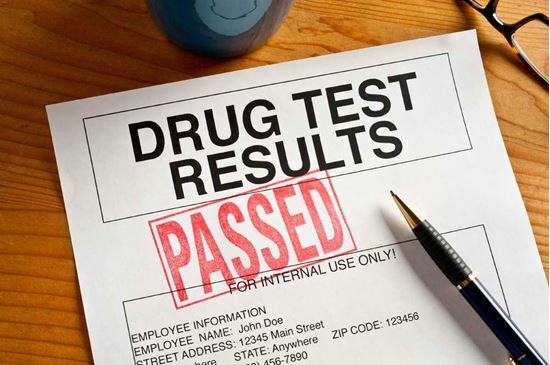 A major concern these days has to do with CBD and Drug Testing, whether it be for your corporate job, probation officer, pro athlete-team… as a failed drug test could result in losing one’s career, or custody of their children. Always remember, CBD comes from the cannabis plant, the same place THC comes from, which is what drug tests look for. Are CBD Drug Test Mandatory? As with anything political, there will always be 2 sides to it, some will say they support mandatory drug testing, others aren’t very concerned with their employees using cannabis. No matter what side you’re on, testing for illicit drug use is a reality for many workers in the United States. Drug testing is mandatory for federal employees, and although it isn’t required in the private sector, more employers are implementing some kind(s) of drug screening. For companies that make drug testing mandatory, those employers almost always follow the SAMHSA (Substance Abuse and Mental Health Services Administration) guidelines because it puts them on solid legal ground. Typically, there is an overlap between testing guidelines and accepted cutoff levels for drugs and drug metabolites in confirmatory testing and screening. The urine screen drug test for THC-COOH is known to have very little cross-reactivity to other cannabinoids that are not psychoactive, such as CBD (cannabidiol), CBG (cannabigerol), CBN (cannabinol), and others. This is good news for those of us who are consumers of CBD/hemp oil. People using large doses of a cannabinoid-rich hemp oil product (above 1000-2000 mg of hemp oil daily) could theoretically test positive during the initial urinary screen. Although very rare, the urine screen in these cases would likely represent a “false positive” due to other non-THC metabolites or compounds, which may cross-react with the immunoassay. When this is the case, the confirmatory GC/MS test would be negative, since CBD and other cannabinoids will not be detected by the more accurate (and specific) GC/MS screen.